Now that I’ve changed my diet to be grain-free and refined sugar-free, my digestion system is way better. However, I still have those days at family functions or birthday parties where I may not know exactly what’s in the food, or I just HAVE to have a teeny bit of something I know my tummy won’t agree with. 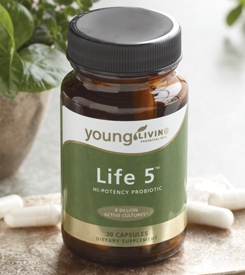 I think we can all use some natural supports for healthy digestion in our world of processed and pesticide-laden food. Here are some of the things I use to keep my digestive system happy. 1. Traditional Medicinals Eater’s Digest is a wonderful blend of tea that really helps to settle my stomach, I love to add a bit of raw honey to it for a truly soothing drink. 2. 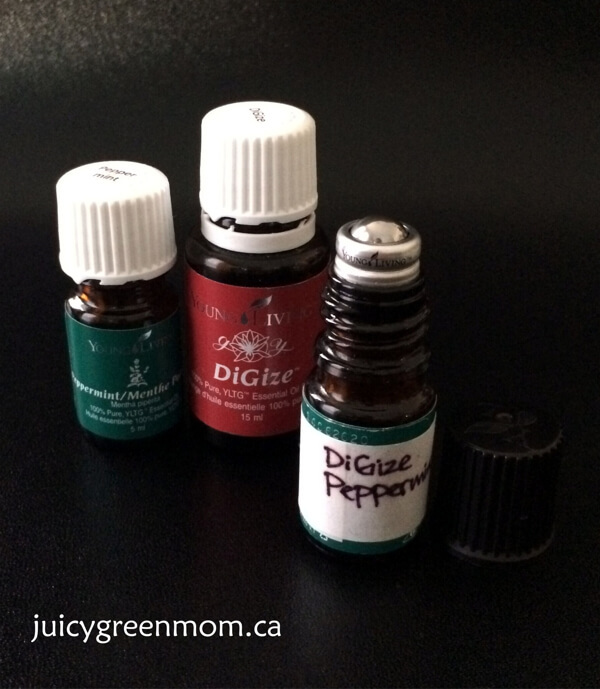 DiGize blend and peppermint essential oils are what I have put into a roll-on bottle, diluted with sweet almond oil, for easy application when my tummy needs a little love. My daughter also tells me when she needs me to roll some on her tummy! 4. Enzymes are another type of supplement that help support healthy digestion by breaking down all the stuff we eat. I am currently using Young Living’s Essentialzyme, which my naturopathic doctor indicated offers great overall support. 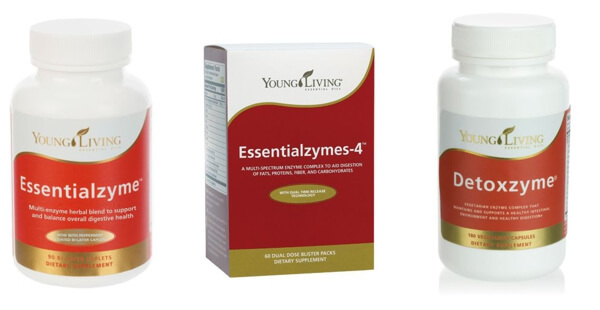 Essentialzymes-4 is another enzyme option that has both a quick release and delayed release capsule to target digestion support in both the stomach and small intestine. 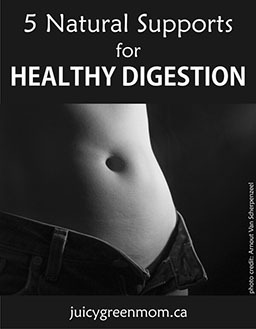 Detoxzyme is another supplement that helps with undigested stuff sitting in your gut. Homemade Mommy has a great summary of enzymes and other ways to support healthy digestion here. 5. A heating pad has been a go-to since I was young, and I still turn to it if I’m curling up in bed. It’s just hard to walk around with a heating pad on your tummy if it’s plugged into the wall. What are some ways you support your digestion?